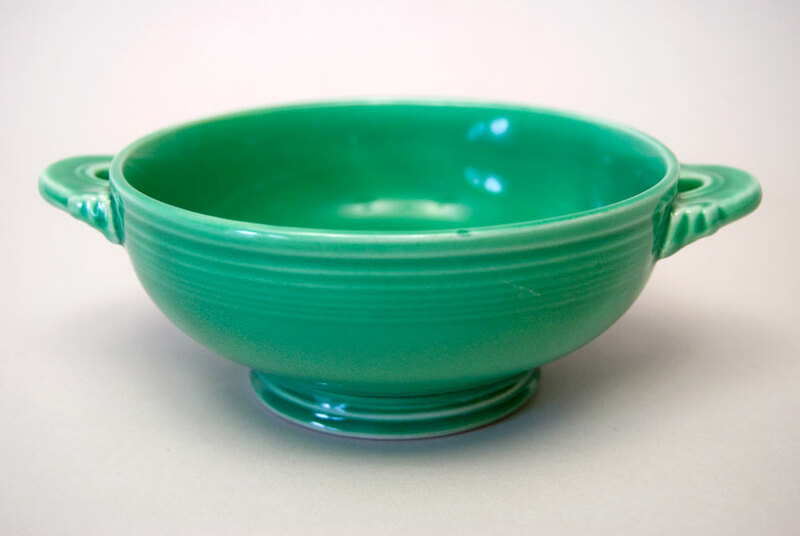 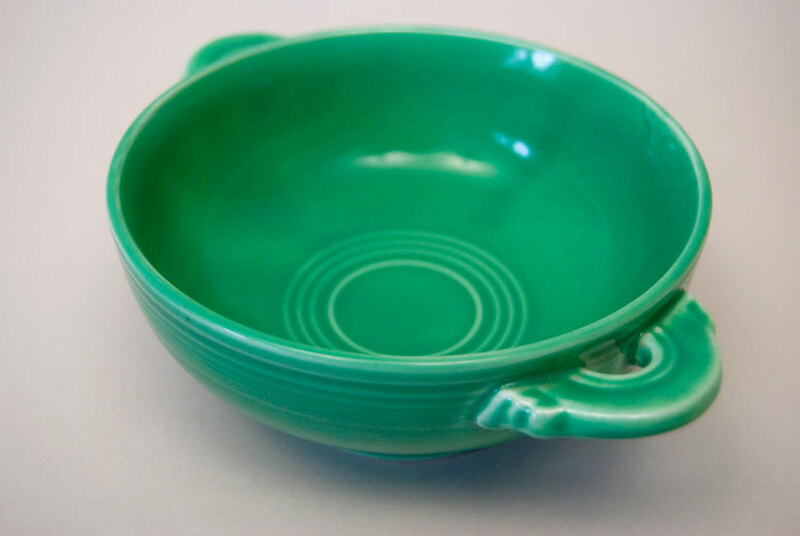 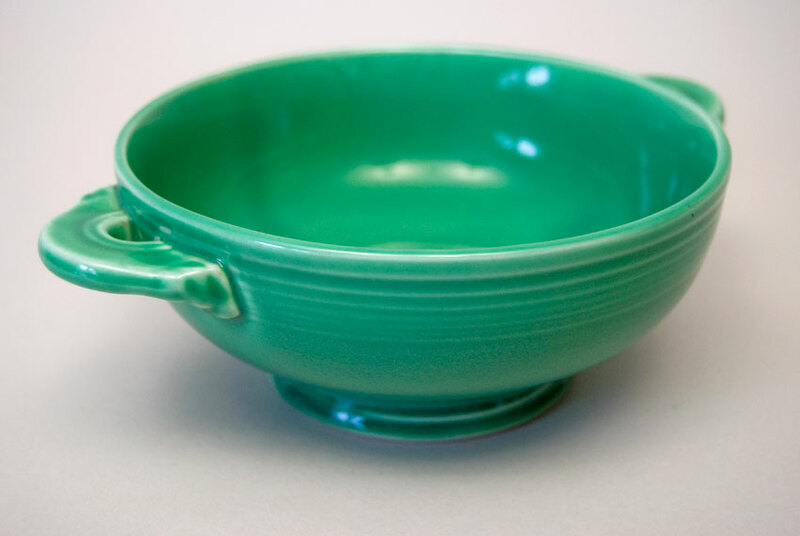 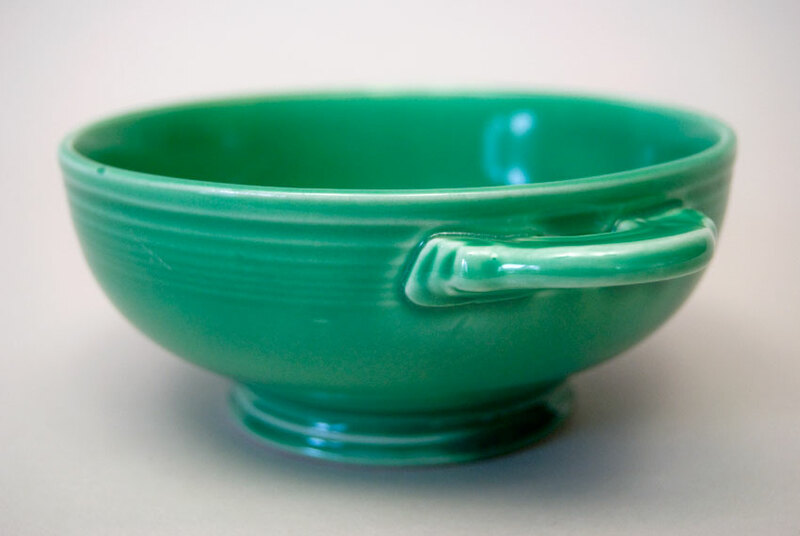 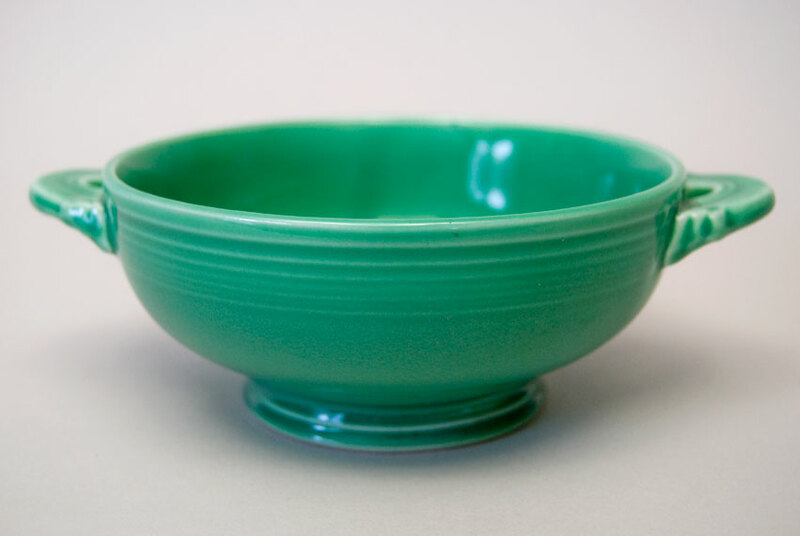 Circa 1936-1951: The Fiesta cream soup bowl with it's inside bottom rings and art deco tab handles has become an iconic classic representing the fiestaware line. Extremely popular and highly sought after, a dinner table set with cream soup bowls will delight you. This example in original green retains great shine and looks unused without damage. 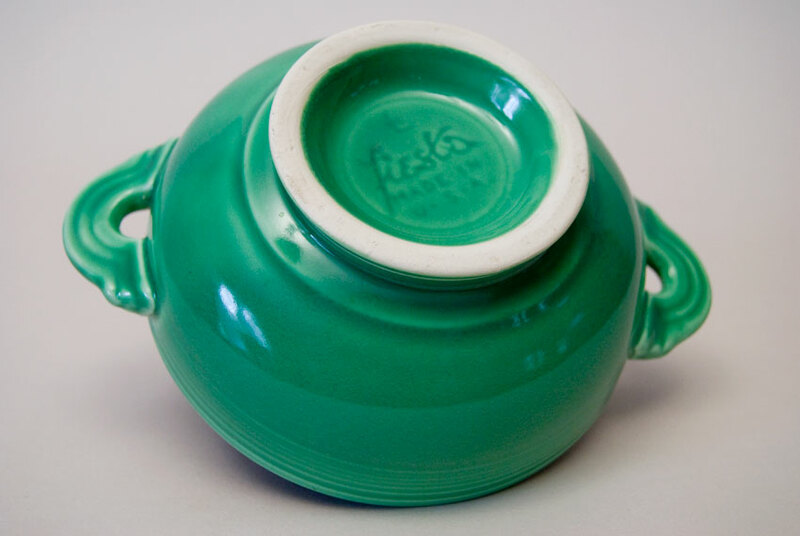 Marked in the mold "fiesta MADE IN USA". 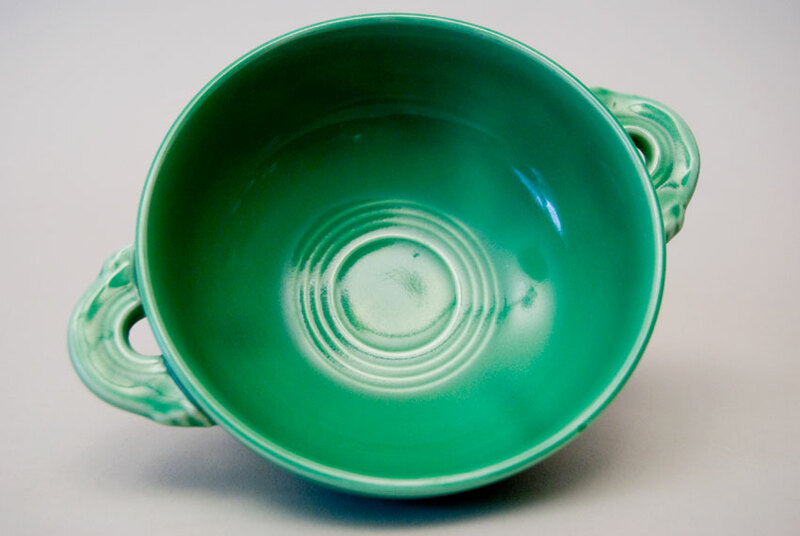 No chips, repairs or damage.